A creative and fun Halloween project to light up the night for trick-or-treaters! Spooky jack-o-lantern luminaries are the perfect Halloween decoration! Kids will enjoy making this fun project using homemade decoupage, featuring one of our favorite sponsors, Imperial Sugar. These plastic jar luminaries would look cute displayed in your windows every night leading up to Halloween! Kids can even customize their faces to create spooky jack-o-lanterns or goofy ones. 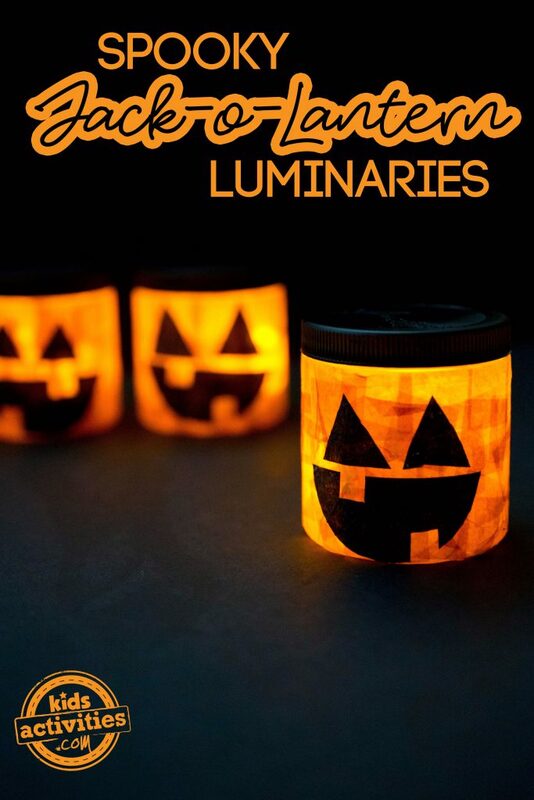 Click here to visit the Imperial Sugar website for instructions on how to make these Halloween luminaries.